You’re craving a good podcast, but you aren’t sure how to listen to it on your iPhone. 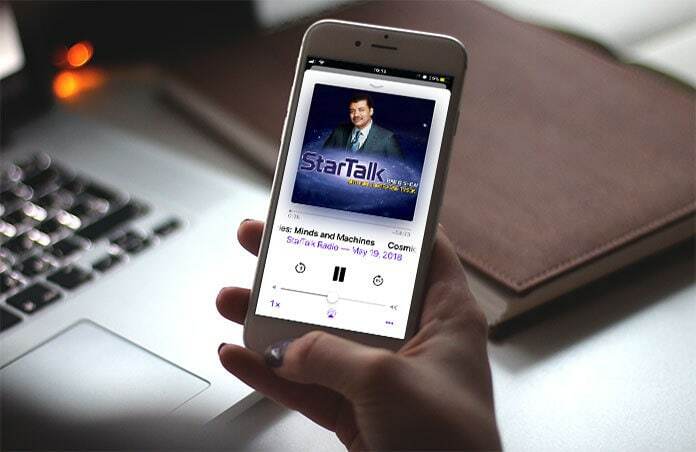 Well, you might not be aware that you can download thousands of podcasts via the official Podcasts app directly. That’s what this article is about. 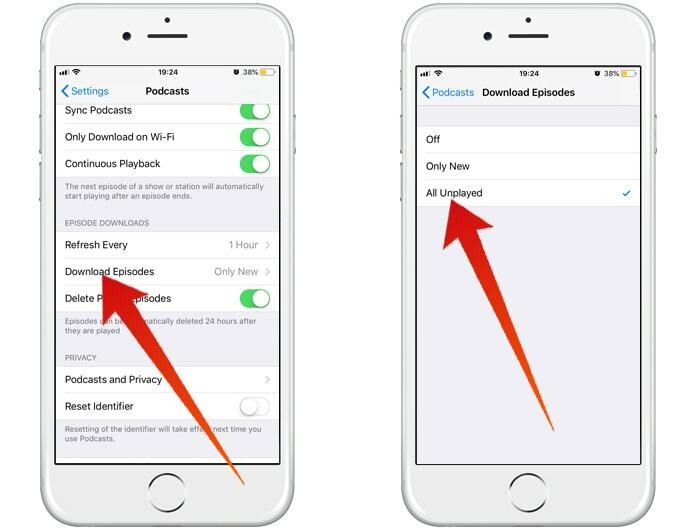 We introduce an easy way to download podcasts on iPhone. Step 2: Then, tap on the podcast you want to download. 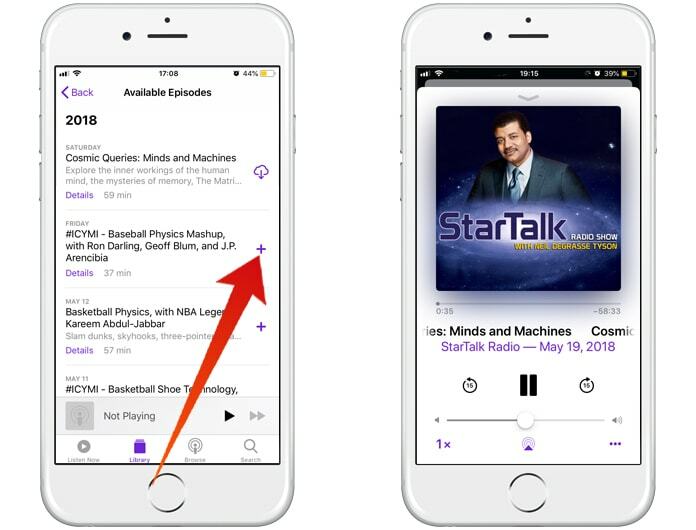 Next, on the podcast’s main page, tap “Subscribe.” When you see “Subscribed” on the screen, take it as confirmation that you’re now subscribed to the podcast. So when you’re going to tap the Library tab that’s present in the Podcasts app, your recently downloaded podcast will pop up on the screen. 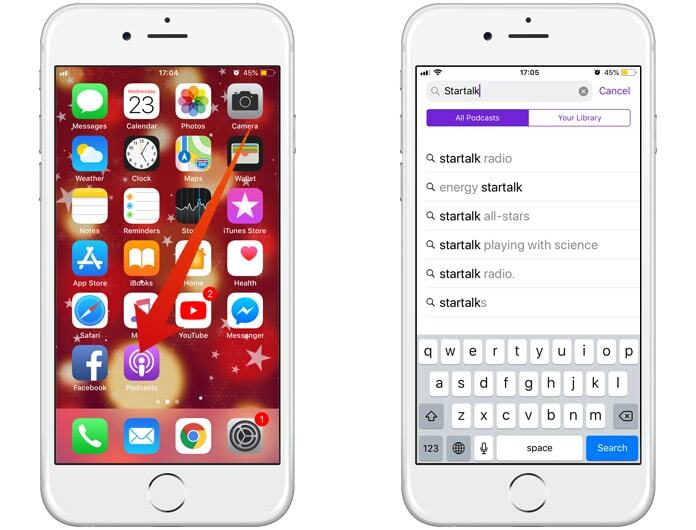 Step 3: To download different podcast episodes in the Library, tap “Available Episodes.” Next, search for the tiny plus button next to the podcast episode that you’re wanting to download on your iDevice. It will be purple in color. Tap it. Step 4: Lastly, tap the small cloud icon that shows up where the “plus” was when it was tapped. Next, to the podcast episode, you’ll also see a “tiny status circle” appear. You’ll understand that the episode of the podcast is successfully downloaded on iPhone when the small plus button, status circle, or cloud button isn’t present beside the podcast name file. If you download each podcast one by one, it could take longer, and get overwhelming. Luckily, there’s a fix. Each unplayed episode of a podcast can be downloaded via the Settings app. To do so, go to Settings – Podcasts – Tap “Download Episodes.” Next, tap “All Unplayed” to download each of the podcast’s episode on your iDevice. A small check beside “Unplayed” means that it is selected. Having Issues with Podcasts Downloading? 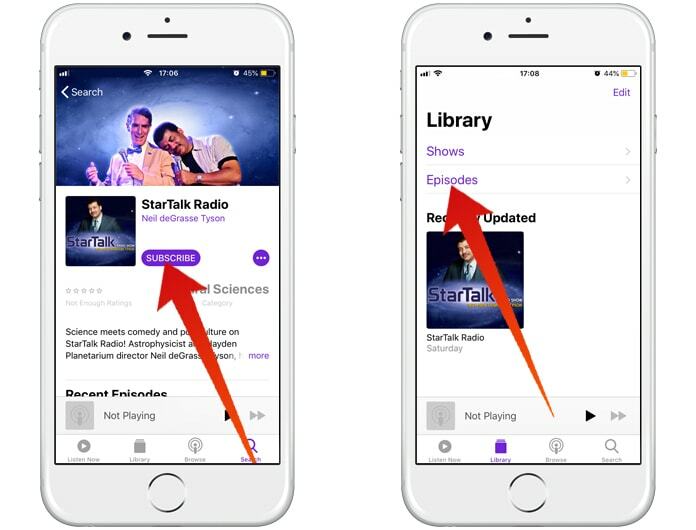 There are several reasons why a podcast won’t download on iPhone. If you face this issue, feel free to get in touch with us. We’ll personally diagnose the problem and suggest you a fix. A podcast has been successfully downloaded on your iDevice and you’ve learned how to download all episodes at once. Share this article on Twitter, Facebook, etc. to help friends and family download their favorite podcasts using iPhone’s Podcasts app. Also, feel free to leave comments.